We are used to the fast moving and quite complicated world. We usually transfer from one place to another, from one task to the next and continue on moving until we are restless. We easily go with the flow of things until we end-up feeling lost, tired and later on quit. If possible even just for a minute, take a short pause. If we are stressed, pause. If we feel anxious, pause. If we feel confused, pause. If we feel bad about something else, pause. If we are angry to someone, pause. Even if we are in a hurry to catch up for a deadline, pause. Taking a short pause will give us peace and harmony. Hence, we need some break for us to think, to rest and to recover our lost energy and power. Try to pause and take a deep breath. Try to pause and be thankful for what we have today. Think of the things that will generate good things to everybody. Think of happy thoughts in life and happy moments we have shared with the people around us. Yes, we can pause anytime we want. We can pause before we have our breakfast. We can pause in the middle of our hectic schedule. We can pause after receiving issues from our client. We can pause after having a long day. Then after a short pause, notice how you can easily attract good vibes, how you can easily mingle with people and how you can easily find solutions to your problems. Things seem to be easy when we take a short pause. We are enlightened and our mind will be free from worries that we are able to recognize the love that surrounds us. So why not try now, take a pause, take a deep breath, if possible close your eyes and be back to the world with a smiling heart and a mind full of happy thoughts. Yes:)please try to pause for a moment for this will make you more comfortable for every situations you encounter in a day:) thanks for reading my blog sis. very nice article and totally agree with everything! When I am mad or when I lose my patience from things time to time I eat my oatmeal at the balcony and stay there for a while and as you said "pause" i go to the gym everyday which helps me a lot. I try to pause every day! I love pausing. I just need my quite moments. Thanks for reading my blog! :) Yes, this is really effective especially on times that you really don't know what to do. very true, there is nothing wrong with taking a pause, I too find it very helpful in all aspects of life. 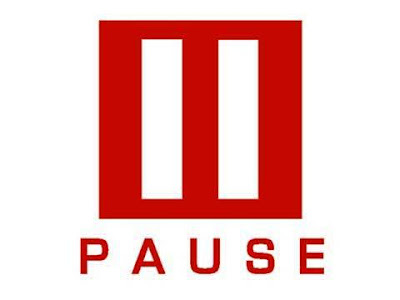 I agree, pause works for me. Taking s walk even just around the block works too. I agree,pause is important in our life so we could think and do our things in right. A vital part ng everyday life ko. Taking a pause even for a minute will do a lot. Sa akin nga lang I see na I use this little halt to activity , just to talk to God. Yes, I am definitely stress and tired. 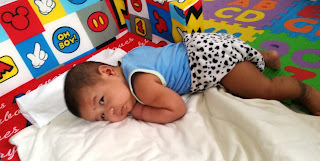 I know, I could do more to release it by exercising, but instead I blog. Sigh.